·	Presentation of the chief sites of pilgrimage for Hindu, with a section on popular A single book with comprehensive, information driven and user-friendly multi-faith destinations across the country. ·	Detailed coverage of some of the greatest yatras ever undertaken, including in-depth features on both routes of the Kailash-Manasarovar Yatra. ·	Sections on the Jyotirlingas, the Panchabhoota Shivasthalas, the 6 sacred abodes of Subrahmanya, kshetras where holy rivers are born, and sites associated with some of India's foremost saints. ·	Amazing insights into the rich heritage of mythology, history and architecture all over India. ·	Reviews of hotels with key focus on affordable mid-range options; recommendations from the writers on where to find clean rooms, linen and bathrooms be it in bustling metros or little villages. ·	A handy compilation of other things you can see, do and experience while in your destination. The book you now hold is, in many ways, a new journey even for us. The latest outlook Traveler Getaways guide is the 12th in a successful series that have charted subjects as diverse as metropolitan weekend breaks and adventurous trekking expeditions. With 101 Pilgrimages, we have embarked upon yatras: journeys that are increasingly relevant in the manic and stressful world of materialistic pursuits, journeys that we undertake with our children and elders and some times within ourselves. The size of this book is but a reflection of the vast and magnificent nature of its subject. Our destinations dot the Indian map with tremendous diversity. Crossing its northern boundary in some places, logging miles into the country's lofty mountains, to the shores of the great seas, to the banks of holy lakes and rivers, to the rural heart of a teeming nation, to ever-expanding cities that have grown around ancient temples. Though geographically disparate, all the destinations are unified by that singular element, which often transcends the limits of human ability: faith. Why does the wind not cease? Why does the mind not rest? Why do the waters, seeking truth, Never ever cease? These lines from the Atharva Veda say a great deal even as they leave that much more to the reader's perception and spirit of enquiry. They make, in our view, an apt allegory for the nature and scope of this book: What it set out to do, what it achieved and just as importantly, what it could not achieve. These three questions have multiple and overlapping answer, some beyond the space available in this brief introduction. 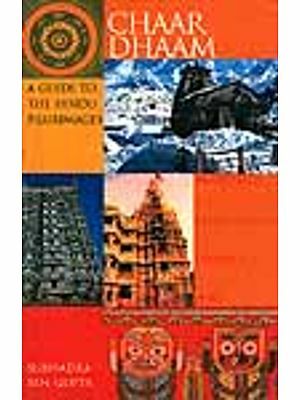 101 Pilgrimages is a travel guide that seeks to cover the chief sites of pilgrimage for Hindus in India. While it is fairly comprehensive, this book cannot claim to be exhaustive or even definitive. It is but a serious effort to collate a wholesome introduction to the most important holy sites from a Panchakarma-Indian viewpoint while, at the same time, ensuring regional representation is also achieved. Even within these parameters, the list of destinations could only be selective and subjective, given the vastness of the subject, its humungous geographical spread and the resources available to us. If, in the process, we have overlooked something significant, such an omission is assuredly inadvertent, for we do appreciate and respect the faith invested in the sacred sites we were unable to cover. We have tried as much as possible to look beyond the obvious and provide the yatri with insights that add to his experience, whether mythological, historical or pertaining to the region in which the pilgrimage is located. Like with everything else, in this endeavour too, we can only claim to have succeeded in some measure. This is an admission, not of defeat, but to a sense of overwhelming wonder-even a quick glance at the index of contents will show that many of the destinations in this guide have had entire books written on them, in some cases no less than several publications that range from theological studies to visual feasts for the coffee table. Our chief intention also remained constant: the template of this book is rigorously information driven and aimed at enabling the visitor to plan and execute his journey with the greatest access to useful information, no matter what his budget. This book is, therefore, a window to what we discovered to be an infinite world of facts and every step of the way faith. It must also be said that the writers and editors of this book cannot claim to be expert on its subject matter. We approached our assignments referring to books from libraries and temple shops, reading and learning. We talked to everyone from tourism officials to taxi drivers, form family elders to temple priests. We went about clutching, as one wonderful writer said laughingly the checklist to our chests. We were and remain, journalists and researchers. For this book, many of us turned first time yatris. Countless emails were exchanged on what a journey of discovery, oftentimes both inward and outward, working on this book has been. This, in spite of the fact that writers spent considerable time and energy in checking out nothing more exciting that the condition of the linen and loose across a range of hotels, lodges and dharamshalas. Even after this was done and the first draft submitted, questions upon pointed questions, some of which were not anticipated by any of us, needed answering. To every one of the writers who wrote back with patience and grace, we owe an incalculable debt of gratitude. Whatever its failings, this book would not have been what it is had it not been for their sustained commitment. One occasionally recurrent question we have been asked since the inception of this book is: why only Hindu pilgrimages? Sometimes this query was phrased with polite curiosity but, more often than not, it was accusatory in nature. Without dwelling on what it felt like to be accosted thus, we would like to clarify that this book, like Hinduism itself, is entirely secular. By secular, we don't mean that which is not religious but rather that which accepts all faiths. 101 Pilgrimages is an apolitical, non-partisan travel guide based on a specific theme. It does not in any line denigrate other faiths and their followers and indeed, wherever possible the reader has been provided with recommendations to visit famous mosques, churches, Jain and Buddhist shrines under the subhead 'While in the Destination'. There is also a special section on places that are revered by people of all faiths. This elaboration is meant to be explanatory not defensive. In the course of researching the subject matter of this book, we found several publications that focused entirely on faiths other than Hinduism. They were no less awe-inspiring, no less deserving. In our initial in-house brainstorming sessions, several ways of approaching this subject were discussed, including a multi-faith book that covered some of the sites important to all of the chief religions practiced in modern India. It was however, decided that such a thrust was beyond the scope of one book and plans of bringing out individual guidebooks on sacred pilgrimages of other religions remain ongoing. Meanwhile, we hope this book will be welcomed.